If you're as obsessed with cooking, eating and entertaining as we are, the post-holiday weeks can be a bit of a food letdown. Some use this time to cleanse and purify, eating sprouts and celery sticks and carefully avoiding all the fatty, sweet and salty foods they've stuffed themselves with for the last two months. But not us! We say “pshaw!” to that. Carpe diem! Look around – we're deep into winter here in New England. It's dark, it's cold and the only way to stay in high spirits is to spend our short days in front of a hot oven and the long nights by the fire, nibbling on rich treats. Summer is the time for raw veggies and grilled fish - let's indulge while we can! 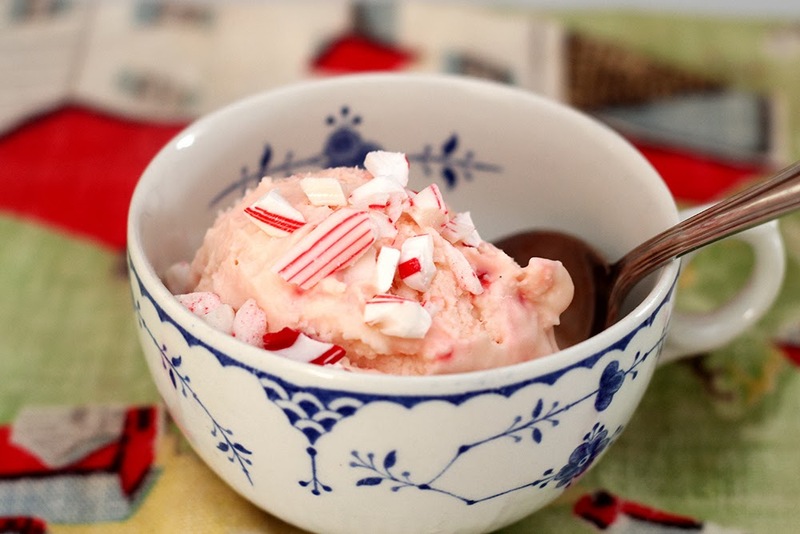 In the spirit of extending the festive food period, we present one of our favorite post holiday desserts: Peppermint Stick Ice Cream. Though ice cream may seem counter intuitive given the recent sub-zero temperatures, trust us: nothing beats this yummy dessert, covered with some home-made hot chocolate sauce or accompanied by a steaming cup of cocoa. If you need even more justification, this recipe is a great way to get rid of all the candy-canes you've accumulated from the holidays. 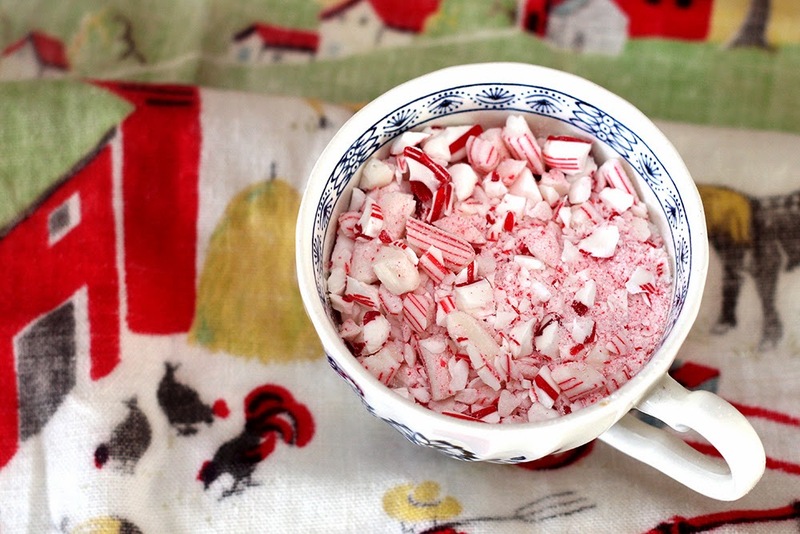 And peppermint is one of those flavors, just like citrus, that cuts through fat. How could you resist? 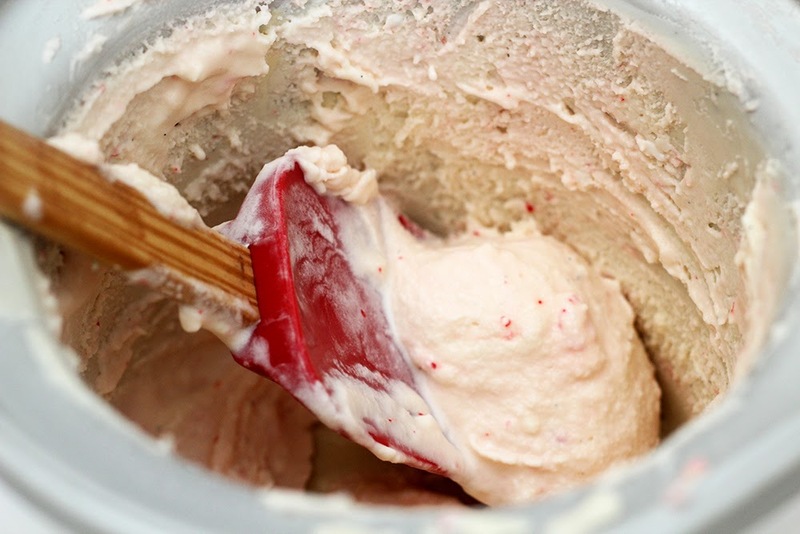 Note: We like to use a simple “Philadelphia” style vanilla base for our Peppermint-Stick Ice Cream. You should feel free to make a french, custard base instead, though we find the Philly style to be a bit brighter to match the flavor of the candy-canes. 1. Combine 1 cup of the heavy cream, the sugar, and the salt into a medium saucepan. Scrape the seeds of the vanilla bean into the cream mixture, then drop the bean shell in as well. 2. Bring to a simmer over medium-low heat, stirring often to dissolve the sugar. 3. Pour the cream mixture into a bowl and stir in the remaining 2 cups of heavy cream and milk. Refrigerate until cold, overnight if possible. 4. 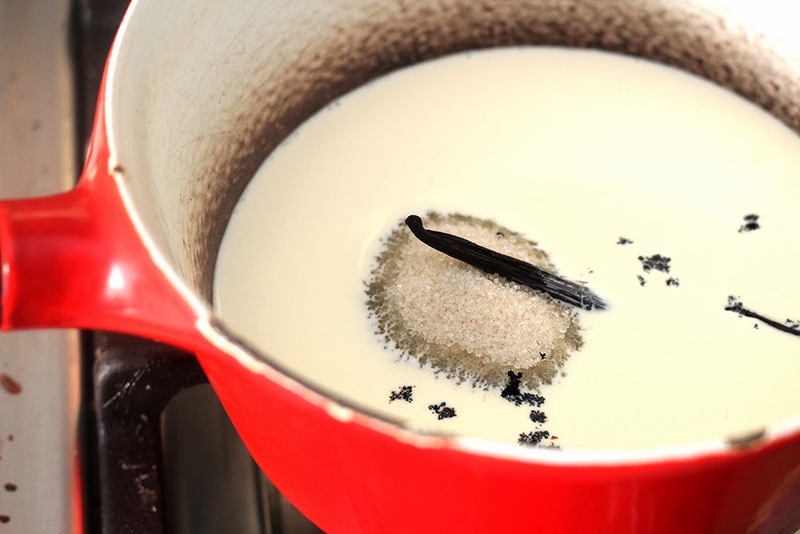 Remove the vanilla bean and seeds and discard. Pour the mixture into your chilled ice cream maker then let'er rip. 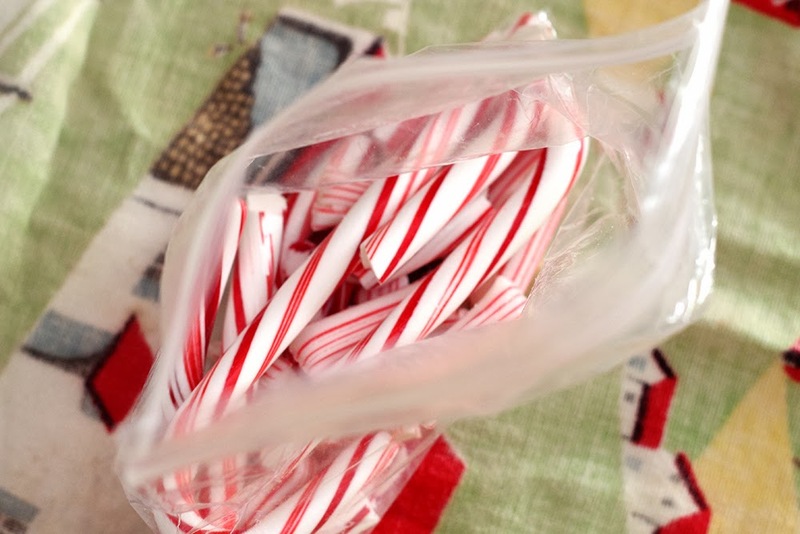 While it's working it's magic, crush your candy canes into small chunks. We like to put them into a plastic baggie wrapped up in a dishtowel. Then we go over it a couple times with a rolling pin. 5. 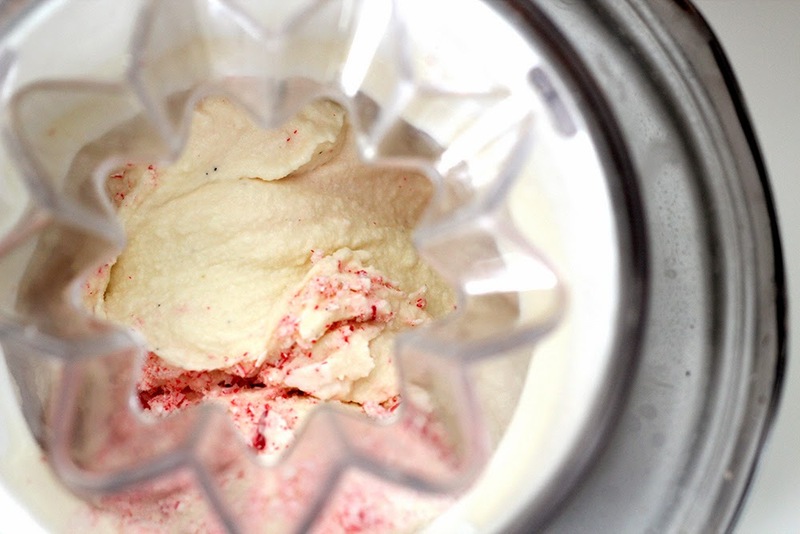 Once your ice cream mixture is almost at the desired texture, throw the crushed candy into the mixture, letting the machine incorporate the chunks. 6. Serve immediately or put in the freezer for another hour or so. Philadelphia style ice cream – well, any homemade ice cream, really - is best when served within a few hours. This recipe can also be found on Rural Intelligence.